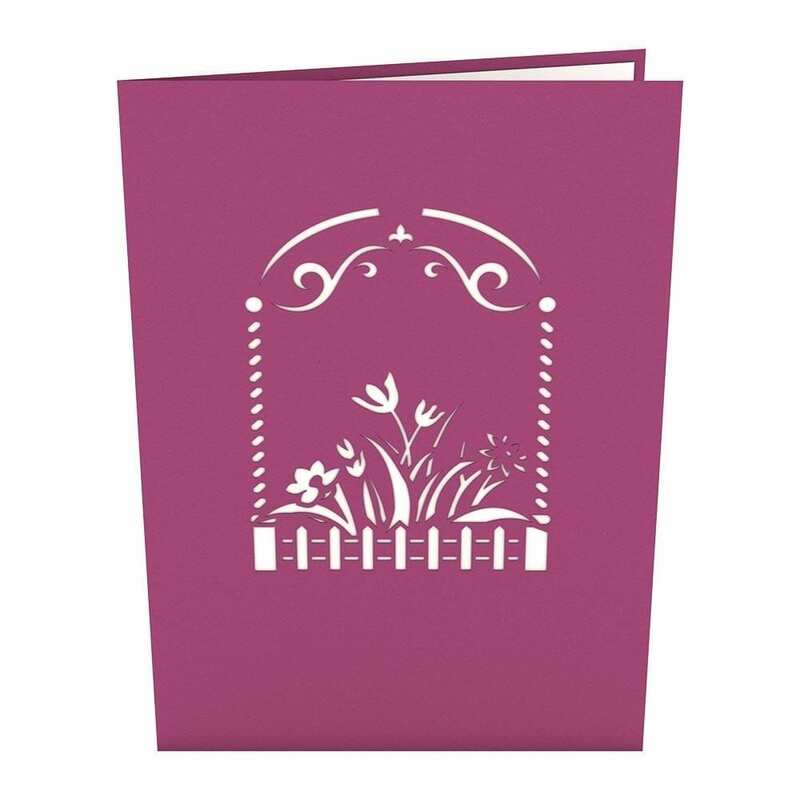 The front of this flower garden card features a purple cover with an archway leading to a flower garden. 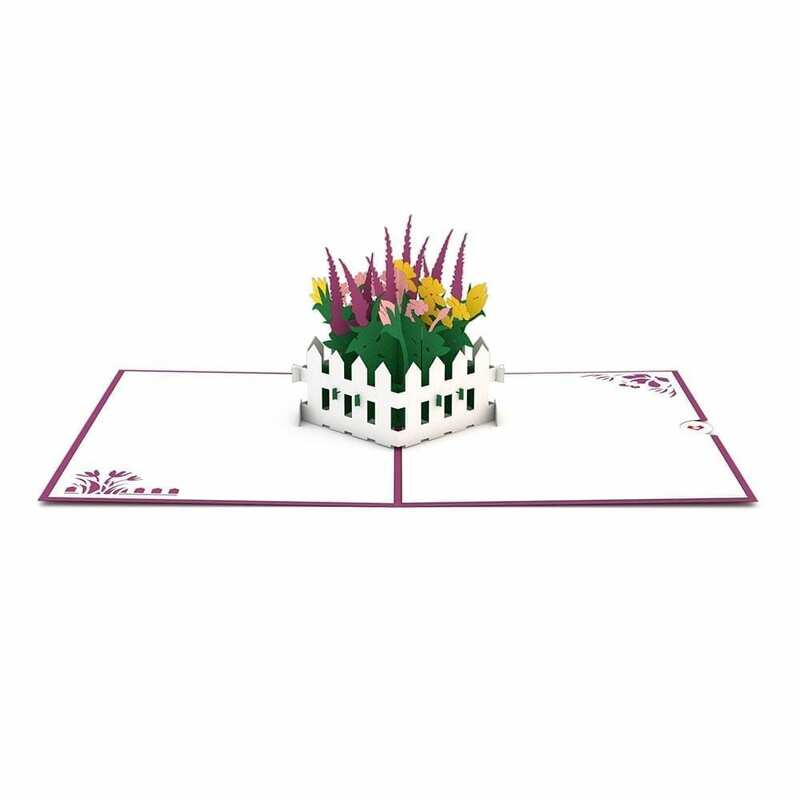 Open the card to reveal a beautiful fenced garden full of a variety of luscious flowers. 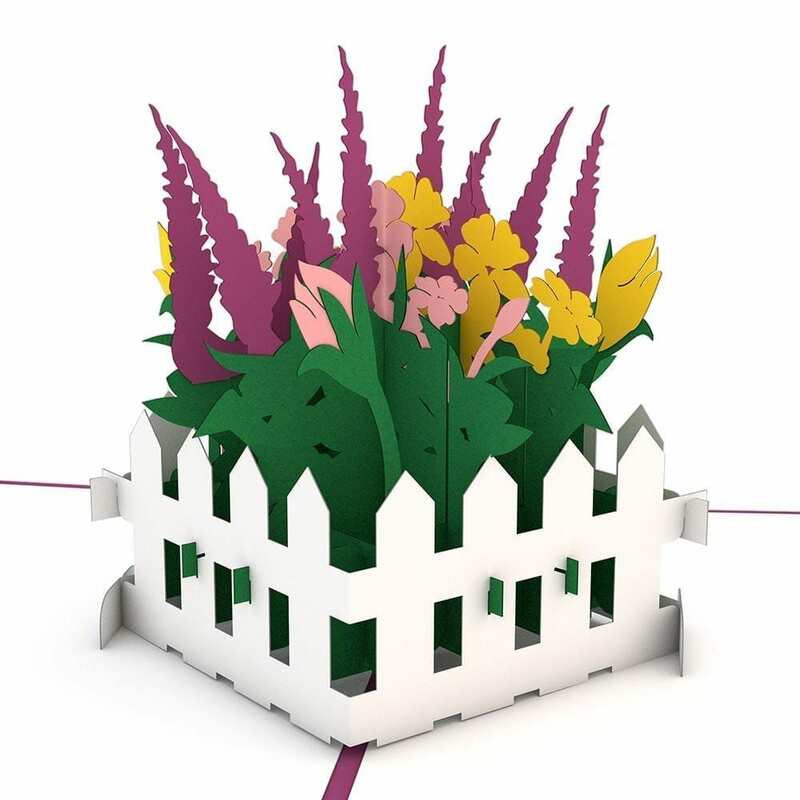 More flowers embellish the inner corners of this card.